Will's Word(s) of the Week – Page 3 – Etymology, media history, journalism, et al and etc. 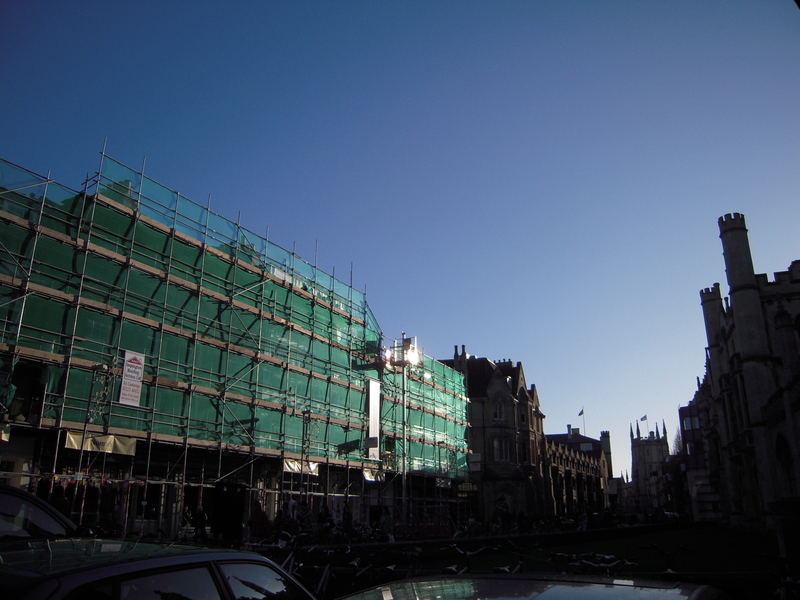 As I have been a bit remiss in getting posts up this week, and before I have a longer meditation on meandering out to the World War Two memorial at Madingley, I wanted to put up a quick reflection on … scaffolding. Yes, scaffolding. The British seem to love it, as it’s all over the place in Cambridge. Now, it might just be because the buildings tend to be a bit on the older side (OK, very, very old indeed, which is cool, of course, for someone who fancies himself a historian, even if he is in many ways just a wannabe’ one, or at least a fledgling in the historical trade); older buildings tend to fall apart, of course, but from what I can tell, it sometimes seems like they throw scaffolding up just because there’s some excuse to do so … come to think of it, I’ve never seen any sort of crane about town, which might explain why methodical and very orderly metal-and-wood carapaces tend to sprout up all the time, all over the place. 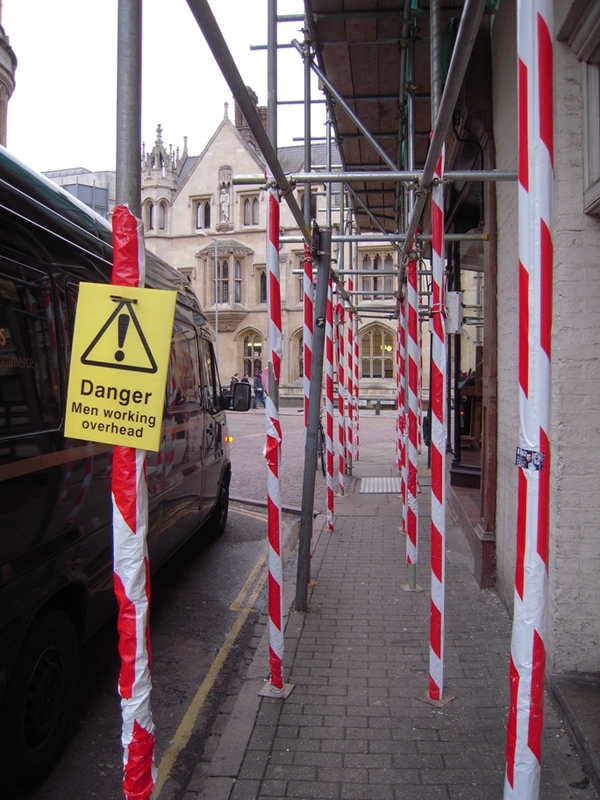 Along King’s Parade near the city centre (yes, “centre” with an “r” before the “e”), for example, scaffolding has lined the row of shops facing King’s College since the beginning of Michaelmas (autumn, or what we Americans call “fall”) term. I can’t quite tell why, but it’s still there, looking very official, and thus very English. Walking past it any number of times, I’ve theorized (and they would spell that with an “s,” as in “theorise”) that there must be something wrong with the roofs, or gutters, or something up high, and therefore requiring layers upon layers of orderly scaffolding right along the road. Back home, scaffolding seems to go up at construction sites and therefore away from the sidewalk, but here it’s very much part of the path. You are expected to saunter right through it. 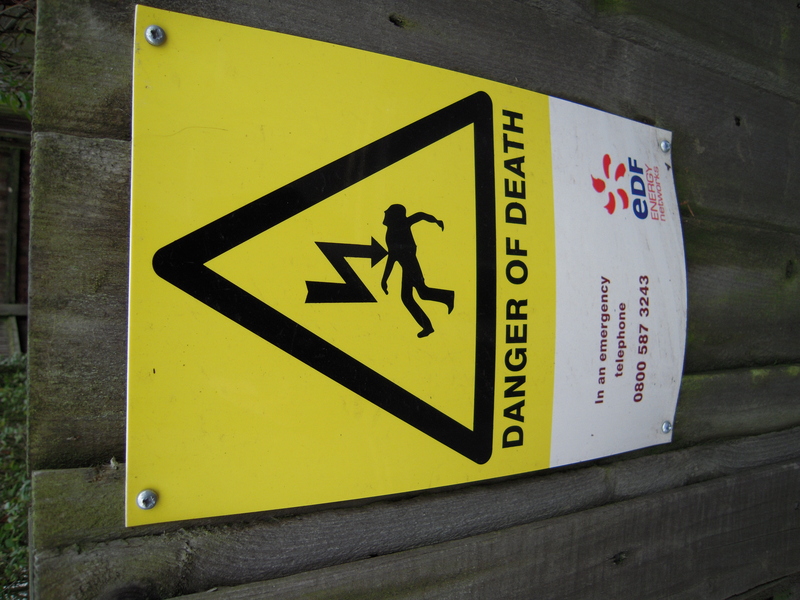 Just don’t stumble and shove the pylons too hard … . I’m sure there’s quite a few good reasons for this affection (or what C.S. Lewis might call storge, pronounced with two syllables and a distinct “g”) for scaffolding, but I do suspect it’s very English in the sense that one schedules (“shed-ules,” yes, they really do say it that way, and declare, “you must be from the States!” if you pronounce the “sched”) scaffolding periodically. It’s true that many of the buildings here predate our country’s independence from its motherland (notice that we’re now “cousins,” and no longer children). But many of them only do so because they’ve been rebuilt and remodeled and just generally redone dozens of times. So a “part” of a building might date from the Middle Ages, but big chunks might have been renovated by a king or queen a century or so after that, and then the south or north or east wing or floor or foundation or something like that was replaced by one of Cromwell‘s comrades (his head is here, by the way; I shall find it and blog about it soon, I promise), and then finally redone “recently” in the 19th century. But for all of its sometime silliness, I have been continually humbled by the history here, and feel calmer in Cambridge this quarter, realizing that my time here is rather limited, really, and therefore resolving to make the most of it. I have been trying to explore the city and its surrounding environs more thoroughly this term, but I also want to venture a bit further afield, if possible, and get over to Oxford sometime later this month to see where the Inklings spent some of their time, at Lewis’ rooms at Magdalen College (without the “e”) and the Eagle and Child (pub); I also want to get down to London at least a couple of times before I go home for the longish break (very much a working break, I assure you, from March 12 to about April 19). To that end I’ve managed to procure a student “rail card.” All this is very new to me, as it’s my first time overseas, and so I am learning the hard way more often that not, but I am learning, a lot, all the time, which I suppose is the point of this self-reflecting exercise. Next term, however, I’d love to get up north, to Scotland, and maybe even over to Normandy, if at all possible, but I’ll save the fun stuff for later, once I get more done on my paper, Lord willing. I sometimes remember that’s why I’m here (at least in theory): “oh yes, that paper … hmm … well, I guess i should work on that a bit more, I suppose …” . My apologies for not being so prolific with posting this past week. I was blindsided and then thoroughly becalmed by a nasty cold through the weekend and have only just now started to feel better. 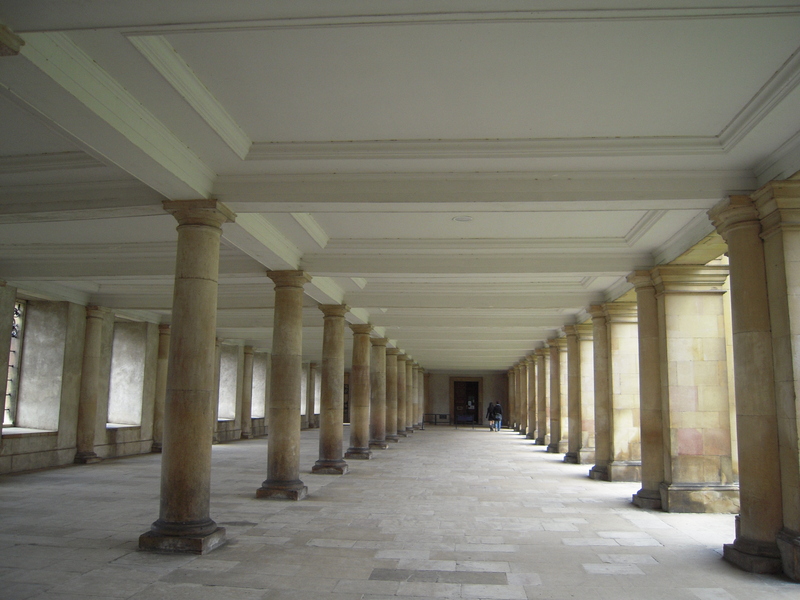 I promise to finally put up a new post on my long walk out to Madingley, and at least another fresh one soon on a silly Englishism or two (scaffolding, anyone?). 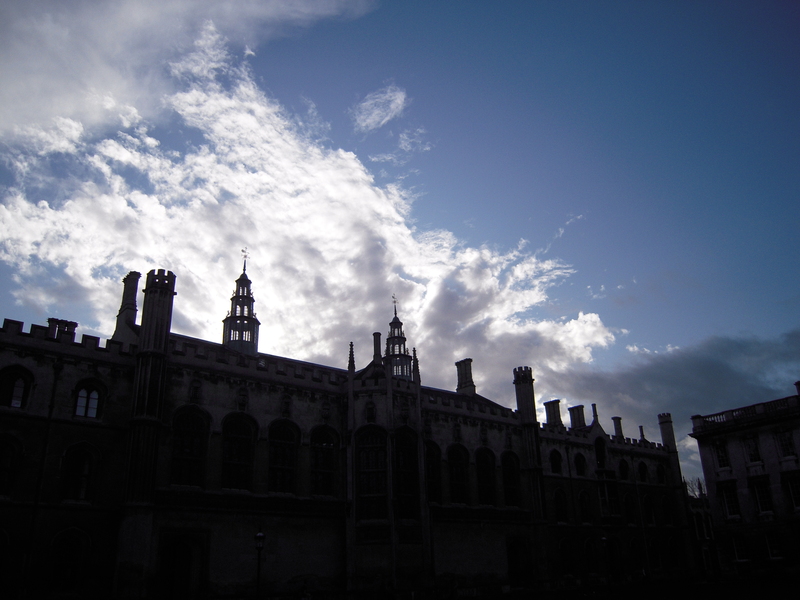 “It now being well and truly wintertime, the cold and the chill in Cambridge can either serve to inspire the studious to press on toward the greater glories of spring, or leave them wallowing in the frigid academic doldrums. Singularly “inspired” by a recent, and maliciously stubborn, head cold, this columnist has been enduring a bit of a doldrum (yes, singular), of his own, which brings us not-so-coincidentally to this week’s word. George Gordon Noel Byron, aka Lord Byron (1788–1824) gets the credit for using the word in its more becalmed, nautical sense for the first time in The Island, with the line, again thanks to the OED, “From the bluff head where I watch’d to-day, I saw her in the doldrums; for the wind Was light and baffling.” From this more generalized sense it took on a more specific meaning, to the region near the world’s equator where the trade winds tend to nullify each other, to the annoyance of sailors, who, well, use sails still. More cerebrally, to be in a doldrum can mean that one is “intellectually nonplussed,” or, to borrow a handy cliché, that one has hit the proverbial brick wall: mentally, of course. I am not quite sure what it is, but I get asked for directions often in Cambridge. Perhaps because I look deceptively trustworthy, with a rapidly developing winter beard and “space-cadet” jacket complete with nerdy flag patch (my dad’s boss was a space tourist), or maybe because I still retain the very American habit of smiling for no apparent reason and looking people in the eye when they approach me, usually looking quite confused; for whatever reason, however, I get queried every few days. “Where am I?” or “Where is such-and-such?” or “Where is the river?” are common questions. Since my college’s neighborhood (Newnham) is on the western edge of town, it tends to collect lost fellow foreigners, or, what is more amusing, lost British tourists. “Ah, well, you’re near Wolfson College,” I’ll usually begin, as that’s all I really know. This usually elicits an even more confused look. I go to one of the “lesser” colleges (as a taxi driver once reminded me), as I sometimes forget. “Well, OK, you’re on the west side of the city,” I’ll quickly add. This brings some relief to face of the poor person I am attempting to help. “Yes, but how do I reach (fill-in-the-blank) road?” they’ll ask again. “Hmmm…” not wanting to admit that I don’t know where I am half the time, I’ll ask them a question, typically out of slight desperation, but with a firm and commanding voice as I stroke my nascent chin hair: “Ah … is it near anything? A notable landmark, perchance?” (OK, so I may not say “perchance,” but I am definitely thinking it). Well, of course it’s near something, as you might imagine, namely, the something they want to find, which they remind me, sometimes looking over to their fellow passengers or driver in suspicious annoyance, if they’re in a car (as if to ask, “does this dumb American know where the hell he even is?”). Seeing this sudden twinge of skepticism, I will typically hasten to add something like, “ah, yes, but of course, that road …” at which their countenances brighten (truthfully, I sometimes do know roughly where they want to go). “Take two lefts and a right, at the moss-covered pub,” I’ll declare, pointing with a manly karate-chop with confidence, half-blinking, in the direction, more or less, of where they are trying to get (or “two rights and a left, at the fork in the road” but never “three lefts,” or “three rights,” as they’d know I was making it up for sure then). At this point, they’ll toodle off, probably satisfied that they know more about where they are than I do, but perhaps, every once and a while, really knowing a bit more about where they want to go. I suspect that I have inadvertently caused more harm than good, and gotten people more lost than last year’s misplaced Easter eggs. But such are the nature of accidental adventures. To borrow shamelessly from G.K. Chesterton, “An inconvenience is only an adventure wrongly considered; an adventure is an inconvenience rightly considered.” As I’ve experienced them myself, in places as varied as parking lots, ferries, airports and English alleys, yes, he’s right. And as a certain Hobbit put it: It’s a dangerous business, going out your door. You step onto the road, and if you don’t keep your feet, there’s no knowing where you might be swept off to. There are signs warning tourists to stay away, unless you’ve paid an entrance fee. As a student, of course, you don’t have to worry about such things, but the best way to avoid being stopped by the vigilant porters (or, rather, the porter’s adjuncts, manning booths like unarmed guards, who invariably ask for your ID, to make sure you’re not a visitor who hasn’t coughed up the fee), is to look exasperated while muttering into a book as you march into the entrance to the college in question. I managed to do so without fanfare on two occasions on that particular afternoon, with my pantomime aided by an increasing fever brought on by a head cold (probably my own fault, for stumbling around in the rain). 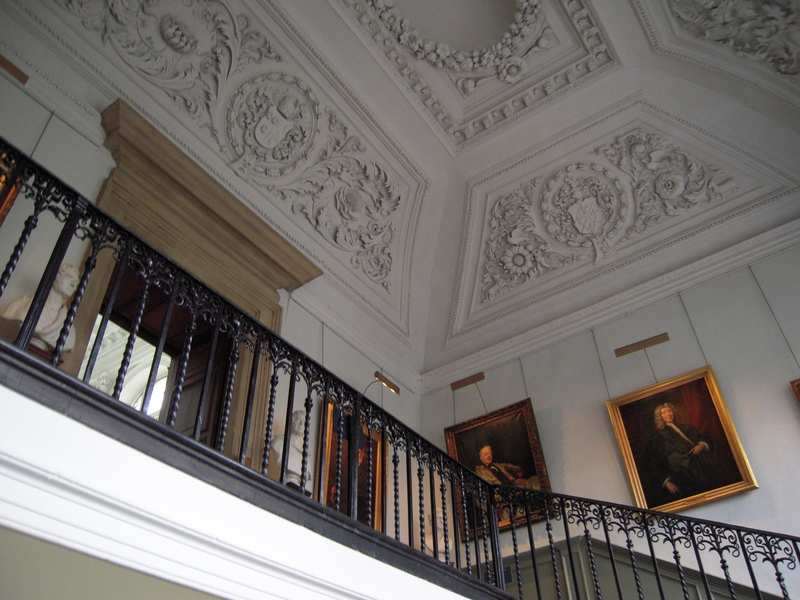 Ah, alas, no one is executed in Cambridge these days, except for those who dare to walk on the grass uninvited, or worse yet, those who don’t vacate the tea room in the library on time … I’m just kidding, of course … I hope. 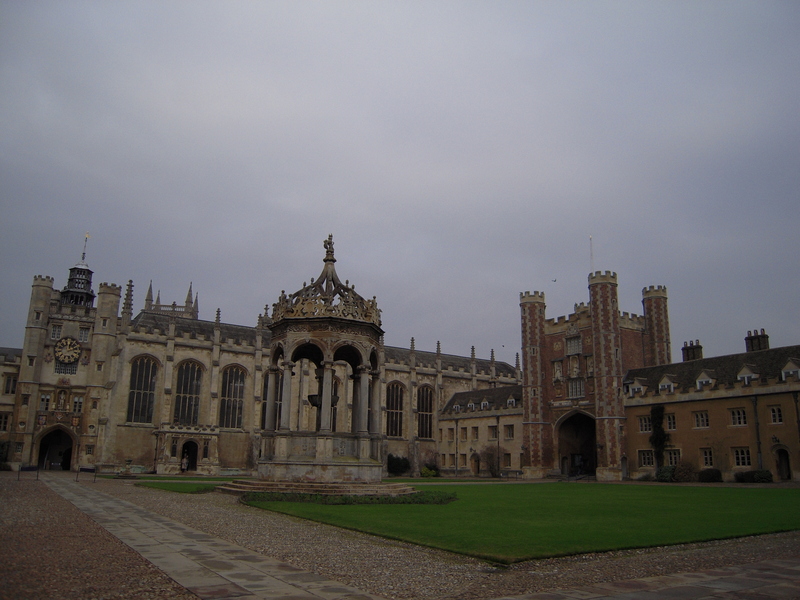 I next meandered back to Trinity, where hapless half-lost grad student that I am, I had failed to find the Wren Library earlier. The Wren contains lots of old and priceless things, including copies of old bits of the Bible and Shakespeare, and notes from Milton and Newton (along with some of the latter’s hair and walking-stick collection … oh yes, this is Cambridge, they like old things here); the reason they have lots of these things to begin with is because some of these men went to Trinity (though not the Bard). Despite my addled mind, I did finally manage to find the library. There were only a few minutes left until it closed (it only being open from 12-2 each day), so I had to move quickly to find what I was looking for: their manuscript copy of A.A. Milne’s “Winnie-the-Pooh,” which is quite unique to the library. 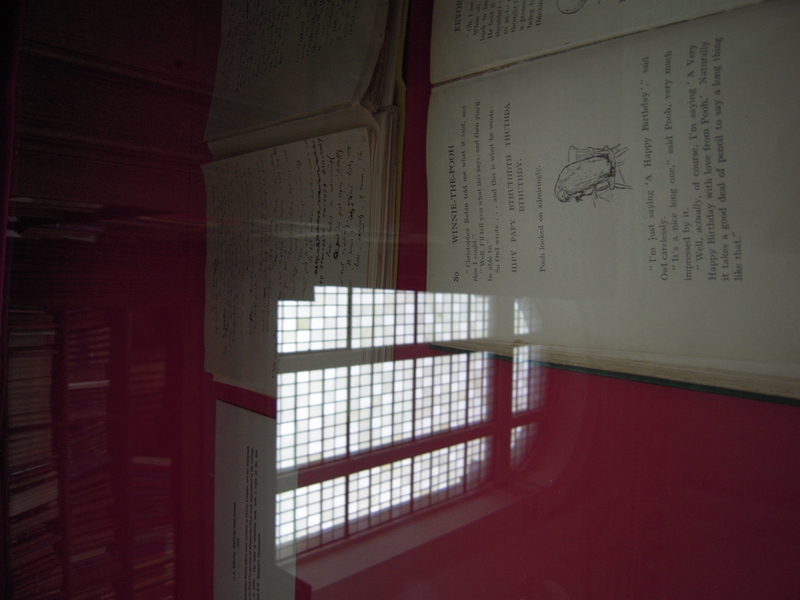 despite the glare, it's there; the manuscript on the top, the first printed copy on the bottom; can you spot Owl? I found it and even managed to snap a slightly illegal photo of the document(s) in question before leaving. By this point, I was verging on the delirious, and thus retreated, not wanting to experience any truly inconvenient inconveniences (I wouldn’t want to test my theory of the Bridge of Sighs being only a symbolic last sight, and not a literal site of execution for grass-walkers, tea-room loiterers or Pooh photographers …). I hope to keep you posted, as it were, on these sorts of adventures as they develop; in the meantime, have a good weekend, and good night from England. “Venturing off the beaten etymological path this week, I figured it might be rather fun to look at a bit of slang as we head deeper into the heart of Lent term, in this case, British slang. As an American, I must confess to being quite bewildered and even baffled by ordinary words here, let alone slang. I even get “knackered” by it all sometimes. I have to thank my friend Whitney Little for suggesting that we look at it. To be knackered is, of course, to be thoroughly exhausted or worn out. It comes from the noun, “knacker,” or someone “whose trade it is to buy worn out, diseased, or useless horses, and slaughter them for their hides and hoofs, and for making dog’s-meat, etc. ; a horse-slaughterer,” as defined by the Oxford English Dictionary (or OED). By itself, a “knacker” can additionally refer to the worn-out horse proper (as well as to a part of a fellow’s anatomy that shall remain nameless), but also to those who purchase old houses and ships for salvage; this business takes place in a knacker’s yard. To get truly knackered is thus technically a fatal fate, as it were, or at least a recycled one: you might be tired, but at least you are not glue or a broken-up ship’s keel. The older meaning of the word, from the 16th century, was that of a harness-maker, possibly, as the OED speculates demurely, from the small “knacks” that composed the harness. In this case, though it has other meanings (such as “trick,” hence “knacker” as “trickster”), a “knack” is, or rather, was a knick-knack in the obsolete sense of trinket or bauble, found in a knackatory, or a knick-knackatory, a place for such trifles. “Knack” has an imitative origin as a word for an abrupt, clacking noise (and hence from the Norwegian “knekkja,” meaning “to break, snap”). The first use of “knacker” in written English comes to us from back in about 1573, from Thomas Tusser’s rustically poetical treatise on farming, Five Hundreth Pointes of Good Husbandrie, with the line, “Plowwrite, cartwrite, knacker and smith” (a definition, seemingly). It is a quiet night in Cambridge, as most nights are here, and all through the college, not a grad student is stirring, except me, of course. Some of my precious chocolate pudding sent from home is chilling, literally, on my angled window sill as I type this; I’ll soon eat it to ease a sore throat. As the minifridge ordered long, long ago has yet to arrive (more on bemusing, bungling British bureaucracy later), I’ve found that my “chilling sill” is a rather nice place to cool things such as soda and pudding. 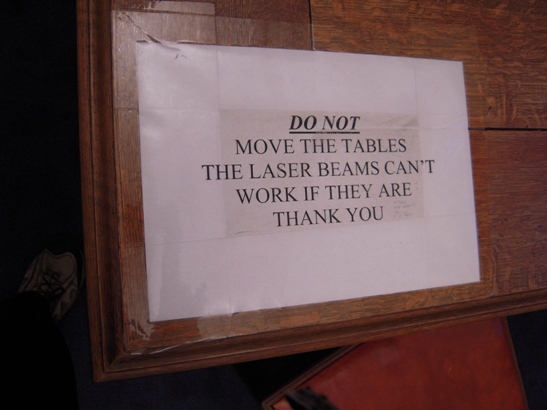 I figure it’s OK, as there are no explicitly polite warnings about it … yes, warnings. It seems like the English are very polite when it comes to warnings. 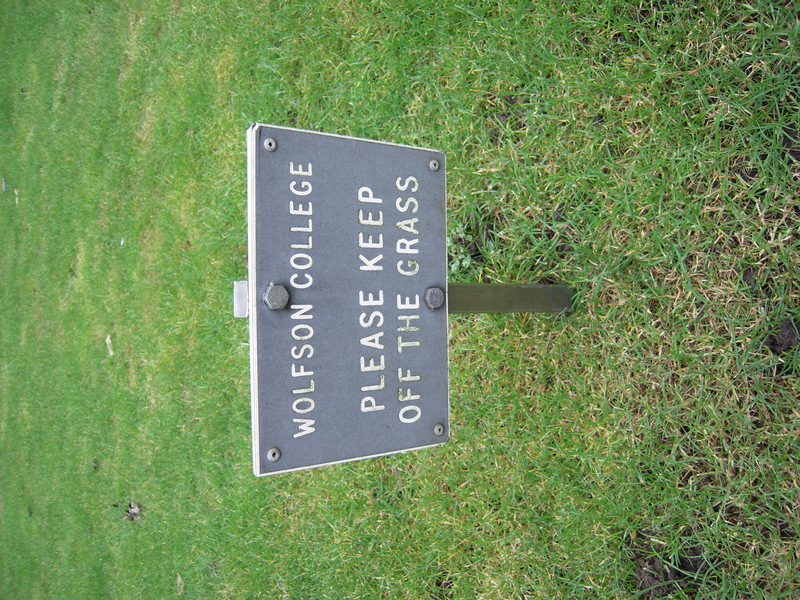 All the colleges have little signs, some in multiple languages, warning you off the grass. Only the dons and a select other few can walk on the lawns, which are laying mostly fallow this time of year, but which are otherwise kept more manicured than a typical American golf course. Even my more laid-back graduate college, being one of the “lesser ones,” according to my taxi driver (who quickly apologized, explaining that Wolfson is simply new, and “new” as in not hundreds of years old and founded by a king, queen or other member of the royal family) still forbids you from alighting on the grassy realms carefully maintained by our head gardener (oh yes, we have a whole team; it’s a very serious business here, you know, gardening). Even the homeless people, and I do always feel for them, as it is very cold outside, tend to be impeccably polite when you say “no-thank-you” to their requests for “spare pence.” One said to me the other day, “no worries, sir, have a good day.” Another not-quite homeless man, selling magazines (like the Real Change salesmen in Seattle), when I told him sorry, that I’d rather not have one, told me not to feel sorry, but “be happy.” But the subject of the legendary penchant for extreme English politeness is worthy of another post unto itself (or many posts), for some other time soon, though it will probably pop up as a recurrent theme. Back to apologies. If you added the words, “… or you will be shot” to most of them, it would sound quite natural. “Please do not take photographs on the college grounds … or you will be shot.” Or “please form orderly queues … or you will be shot,” and so on. People would obey them no less promptly, for following decorum and not making a fuss are an important thing in England, from what I can tell. Warnings are not really so much passive-aggressive, as they might be back home, just well regarded. To put it another way, Cambridge is a silly place, or, as my friend Neil always says upon experiencing the latest silly English custom (as they are just as new to him as they are to me most of the time), “this would have never happened at Edinburgh.” Neil went to the university there, and is an introspective Scot who stands a head taller than me, adding to the gravity of his practical pronouncements. 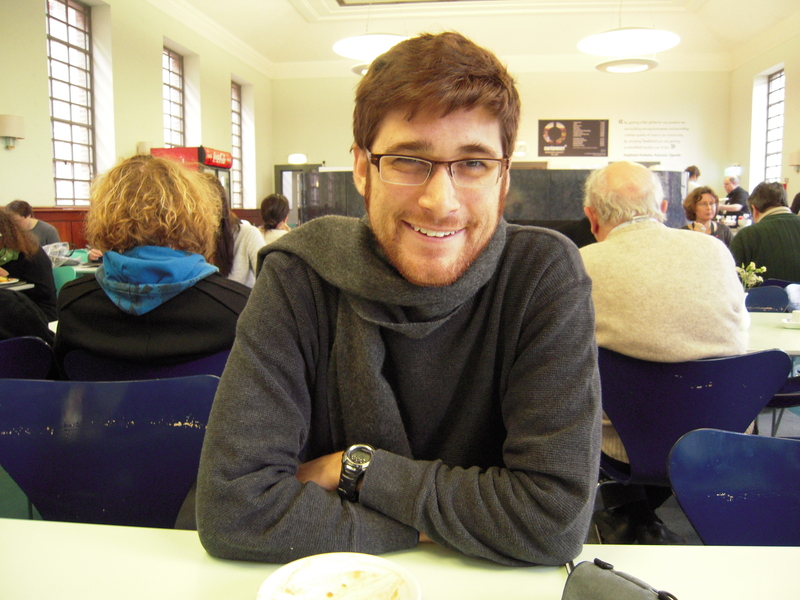 We share an affinity for the 18th century, and for American history, which Neil is studying here in our program. I’ll close with a wee bit of a note about another Scotsman I met. 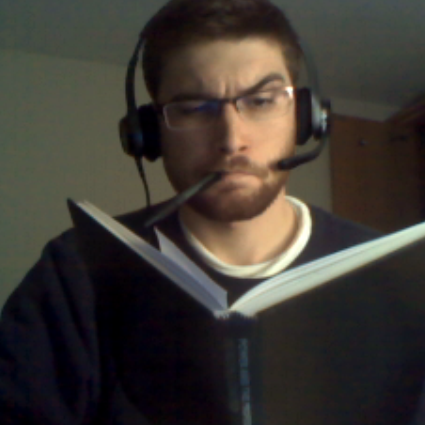 Last Thursday I was reading in my room, as I am wont to do. I had not seen anyone yet that day besides myself (which is becoming less common, actually, which I don’t mind at all, as God provides opportunities to get out and see friends, or at least colleagues when I can’t meet friends, more often this term). But it was a very slow day, last week, and grey too. I was feeling somewhat mellow, and more lost of Serious Thought that even Neil can summon at his most pensive. A grandfatherly workman from Glasgow in Scotland named Harry was painting the doors on my floor. I told him I would like to, if he didn’t mind, and kept reading. He didn’t mind at all, he said. He painted in silence; I read some more. But after I while I realized that it’s not too often that you have a gray-haired Glosgowian painting your door, so I figured it’d be fun to try to get to know him a bit better. A Korean war veteran, Harry had been married for 37 years to a wife some 7 years younger than he, a lady he met in Cambridge in the 1950s coming up from working in London, or what they call the City. He has two sons, one of whom works for a bank in the city, and a granddaughter. They visited Disney World with her last year, and Harry was impressed by the wide streets and open spaces in Florida. I learned that His father was gone for six years during the Second World War, fighting the Nazi’s from North Africa Africa to Italy’s Monte Cassino; his family didn’t see him during all that time. Harry told me this while painting contentedly, with a soft “aye” thrown in every now and then in assent (being a budding historian, I loved talking to a man closer to the history I study; he was a patient listener, and also had some good advice). When he had finished, he called me “lad” when I thanked him for doing such a good job on my door (“you’re welcome, lad,” says he). As we said goodbye, I told him I hoped to see him around the college, and he said he hoped the same. A kind man, that Harry. I’ll try to post a few more times this week, albeit perhaps a little shorter. The word for this week should be “knackered,” incidentally, so look for that Thursday. Good night, and God-speed from England. “Hello again, my fellow fans of etymological exploration. I pray your holiday-time went well, and that Lent term in all its wintery grimness has not fallen too heavily upon you. By way of settling back into a routine, and because Cambridge is rather rich with such traditions, I propose that we look at a word that conveys the soothing rhythm of routine, namely, “custom.” I must thank my friend Mary for suggesting it. As that old standby of definition, the Oxford English Dictionary (or OED) puts it, “custom” is something that has become “habitual or usual practice … [a] common way of acting … [the] usage, fashion, [or] habit (either of an individual or of a community).” People become accustomed to custom, as it were. Customs tend to vary from place to place and time to time, as you might imagine, and represent the collected body of tradition passed from one generation to the next. In this sense, appropriately, the word has been around in early forms of English since the 13th century. “Custom” as such can also refer to regionalized or local law, legal tradition that through long use has acquired a certain jurisdictional weight. In medieval times, tenants beholden to a feudal lord paid their masters in customary service or in money rent. This has been extended into modern times to the tolls, taxes or duties placed by governments on goods exchanged across their borders, hence “the Customs,” i.e. the government agency assigned to collect such fees. As portrayed on the stage, an actor or actress dons the clothes of the character he or she is playing. Over time (and by that I mean by the early 19th century), current fashion was also referred to as the “costume” of the day. Incidentally, by the mid-19th century, regarding women’s clothing, the outer garment, gown or dress was the “costume” proper. 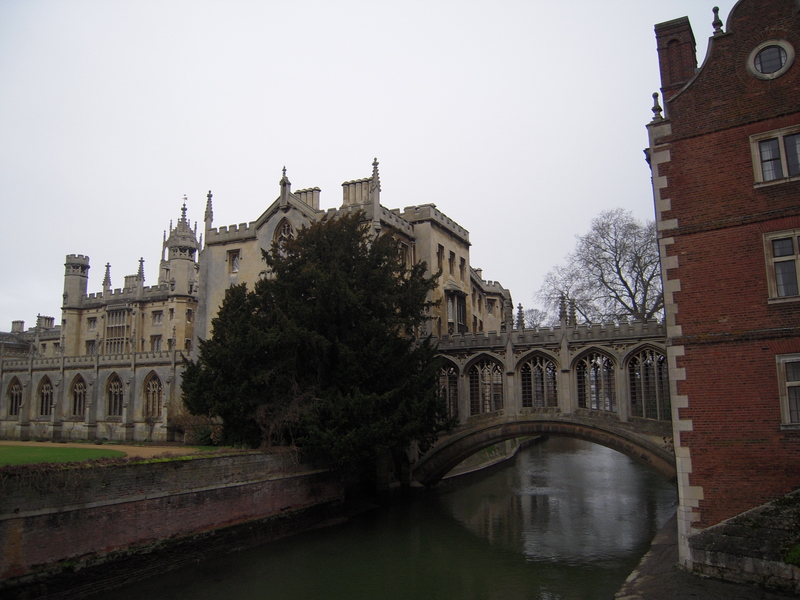 I got to Cambridge in early October and quickly became overwhelmed by the sheer Englishness of it all. It’s not like Canada, which is rather like England for beginners, or even America for beginners, for those come in from the other direction. There were a thousand subtle differences, from the way people drive to how they talk (of course) to what they eat (or don’t eat). In some ways, being in France or Germany or Spain would have been easier to handle, as they’re more blatantly different places, “foreign” countries. No, England tricks the American mind into thinking it’s someplace familiar, which is it is, but not really. Those “but-not-really’s” accumulated rapidly to the point of disorientation. Other Americans expatriated here agree. England is a very different place, and one that takes a great deal of getting used to. Between bouts of acute homesickness and slight starvation, the moments of lonely lucidity I could cobble together were mostly devoted to desperately beginning my “untaught” MPhil course. By “untaught,” as some of you know, and as I thought I knew going into it, I spent and now continue to spend most of my time reading. That’s not so bad, as you might imagine (reading really is rather nice), but also imagine reading by yourself. Everyday. By yourself. More on the slow madness of that process later. But the short version of it is is this: By the grace of God, and help from home, I made it through to Christmas break, which was mercifully long, having finished my intermediate paper, and now (in theory, anyway) working on the Big Paper, due in June. All this is to say, I only just arrived back in Cambridge-town last week, and by way of addressing the many silly things I am encountering in this wacky place, I have made a sudden, spontaneous, and rather retro-active New Year’s resolution to finally blog more about what I am experiencing, the sillier the better. Many things strike me (as I suspect they would many of my country-men and women) as absurd, but in that gently English way that also makes you question your own sanity. For those still inclined to read my etymologies, you will be pleased to note that my column has indeed continued from last term, which I write for one of the two student papers here, The Cambridge Student. As it might be a bit shorter this quarter, following an old habit I started at the UW Daily, I hope to blog about the extra bits and pieces that don’t quite make it into the print edition, as well as do some original “wording,” as it were, on here too. I promise to finally get around to “serendipity” while I’m at it. I may also post up my columns from last quarter, and will certainly put up the ones for this term, starting with tomorrow’s (“custom”). 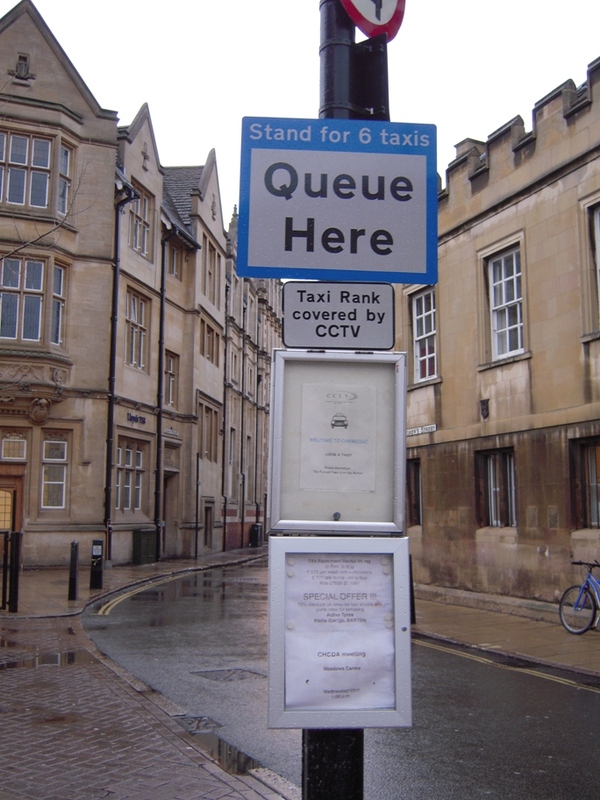 As of sort of introduction, however, I must say a little bit on the very British love of queues (yes, they really spell it that way). A queue is of course a line. Being someone raised in an Army family, I am familiar with lines and paperwork. But the British have raised line-making to a magnificent art, an admirably civilized, living, breathing statement of order and dignity, of politeness, of “muddling through,” or, more practically, of staying organized. They “queue it up” at all the usual places: grocery stores, banks, restaurants, cinemas, libraries, bookstores, etc. But they also queue in places Americans normally don’t, such as the bus stop. Yes, we wait for the buses in America in lines, but we are put to shame by the self-discipline and tenacity of the English in their bus queues. In the driving rain, or when there is no bus at all (in fact, long before it arrives), they are lined up, in perfect order. It’s very impressive. Their buses are nice enough, but I would say that Seattle’s buses and its bus system are just as pleasant (and they really are, don’t get me wrong). And yet the way they wait in lines for them here would make you think they are waiting for a train, or an old-fashioned plane. And the disgust for those who dishonor the queue is apparent. Just the other day at McDonalds (again, yes, they have them here too), a young lady was getting very flustered at the sloppy queues that had formed. “There’s room for at least four queues!” she grumbled to no one in particular. Quickly four queues appeared, as the shame of not being rightfully queued affected all who happened to hear. Queues are also a way of measuring frustration in general. The one grocery store in the city centre (if you asked where “downtown Cambridge” is located, you will get a funny look, believe me), a Sainsbury’s, is always seemingly swarming with people as they recreate the Battle of Britain (if it had led to a German invasion). On the weekends, and in the evenings, it is chock-full of hungry English people, and the poor staff members are hopelessly outnumbered as they dart in and out of the aisles, restocking an ever-dwindling supply of soda crackers and tinned meat (including canned hot dogs, more on that later). Anyway, one day, during a particularly busy moment at “Insane-bury’s,” I overheard a friendly looking older English man (really a sort of postcard image of the sweet-‘ol-English-grandpa) warn a fellow grandfather on the sidewalk to “not go in there … the queues are bloody bullocks.” This was actually one of the first times I had ventured into the store, and I quickly rued the moment I crossed the queue-crossed threshold. Since then, I have acquired a healthy respect for British queues, and those who queue in them. Indeed, I could tell something was very wrong today at McDonalds (yes, I ate there again this week: I needed the calories!). A gaggle of kids was clogging the tills, were the annoyed workers were shouting, “can I help? !” to the next person in the milieu. It turns out, they weren’t English at all, but French teenagers here on a school trip. “That explains it,” I thought. As soon as the French left, proper queues returned. It might be grey with a capital “E” outside, but by gosh, the queues were queued as they ought to have been, and all was right again in Cambridge. 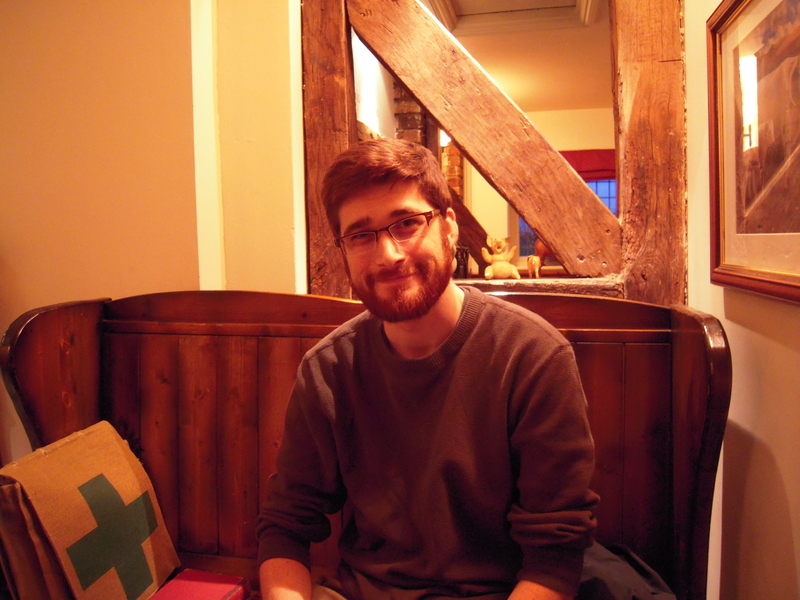 Look for more, albeit probably shorter, thoughts on my brief time in England on a more regular basis. Thank you for reading, and as they tell Americans never to say, because we “just cannot say it right,” cheerio!